Bold premium theme is a modern and—you guessed it—bold theme design that does not overwhelm viewers with an excessive amount of content (minimal is beautiful). 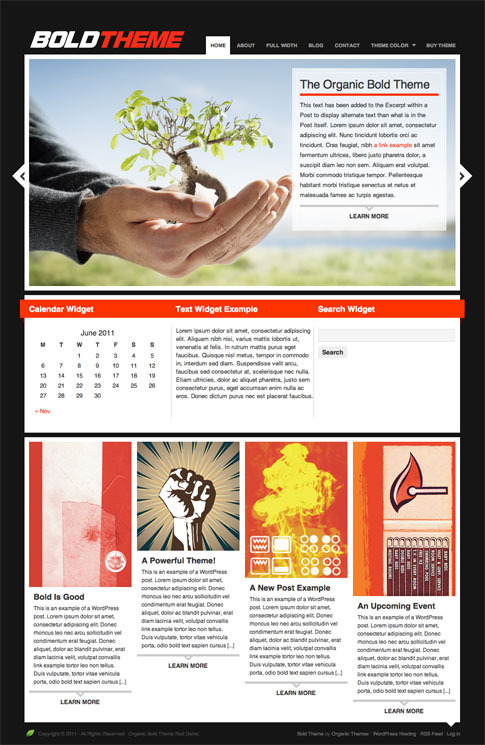 The layout and style is universally appealing for a variety of clients and settings. Bold premium WordPress Theme features a unique widgetized section on the home page, portfolio page template (blue version only), 2 color variations, and more. 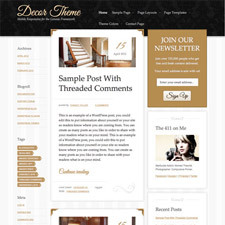 If you want to make a statement, but in a classy, sophisticated way, Bold WordPress theme is a surefire bet!